The Blade Inductrix 200 FPV is the ideal drone for pilots who want FPV capability in a compact aircraft that's easy to fly. The ducted fan planform provides a smooth cushion of air while expertly tuned SAFE technology helps you fly with confidence. There's nothing like the exhilarating feeling of your first FPV flight. Using decades of combined experience, the Blade team of experts has engineered innovative designs that harness new technology so that you can experience success beyond the first flight. Today, exclusive SAFE® technology and the all new Inductrix™ 200 FPV quadcopter is poised help you enjoy great drone performance, and have the immersive experience of first-person view flight all at the same time. The Blade® Inductrix™ 200 FPV quadcopter is the ideal drone for pilots who want FPV capability in a compact aircraft that's easy to fly. Inspired by the durable micro-size Inductrix design, this larger ducted fan planform features powerful brushless motors and multi-blade rotors that provide a smooth cushion of air. Expertly tuned SAFE® technology helps you fly with confidence regardless of pilot skill level or flight condition. And if you're a hot shot pilot, just flip the flight mode switch to Expert and go for it. The FPV camera integrated into the lightweight airframe operates with a wide range of view screens and headsets. Its quick-release 3S Li-Po battery pack included features a streamlined case for easy installation while the custom charger will help keep the time between flights short. Small enough to cruise indoors with the power to have a blast outdoors, the Inductrix 200 FPV drone can give you the immersive experience of riding air. The Blade® Inductrix™ 200 FPV drone features exclusive SAFE (Sensor Assisted Flight Envelope) technology, a revolutionary electronic flight envelope protection system that's custom tuned with intuitive flight modes so it's easy for anyone to fly with confidence. Beginner mode: Small pitch and roll angle limits combined with intuitive self-leveling help you keep the drone under control. Experienced mode: Pitch and roll limits are removed so you can explore agile flight capability. The Spektrum™, Fat Shark Teleporter V4 headset with digital head tracking and SpiroNET antenna (SPMVR1100) delivers the ultimate FPV experience. Compatible with the a tiny video camera mounted on the front of the Inductrix 200 FPV drone, real-time action is delivered before your eyes to a headset you wear like eyeglasses. It's an RC experience so immersive that you'll feel as though you're actually sitting in the pilot's seat. 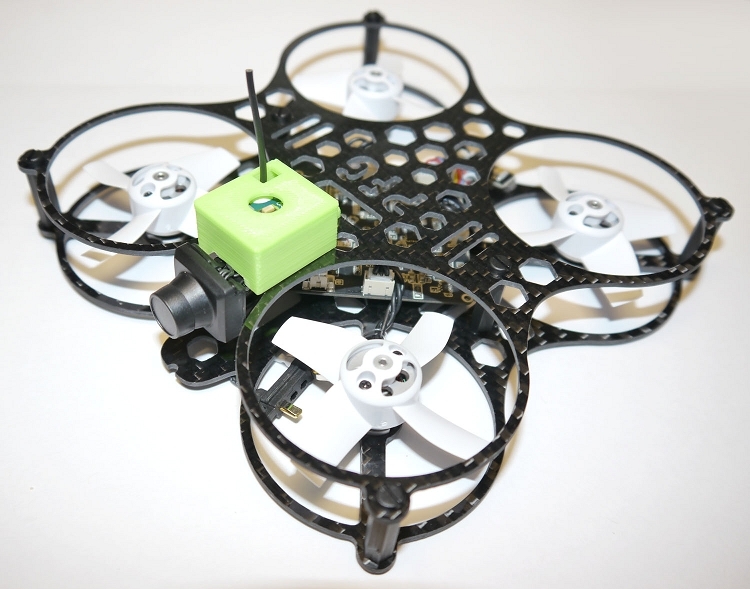 The integrated flight camera features a protective housing that can be tilted to suit fast or slow flying styles. It transmits at 25mw on 5.8GHz and is compatible with FatShark headsets like the Spektrum™ Teleporter V4 (SPMVR1100). 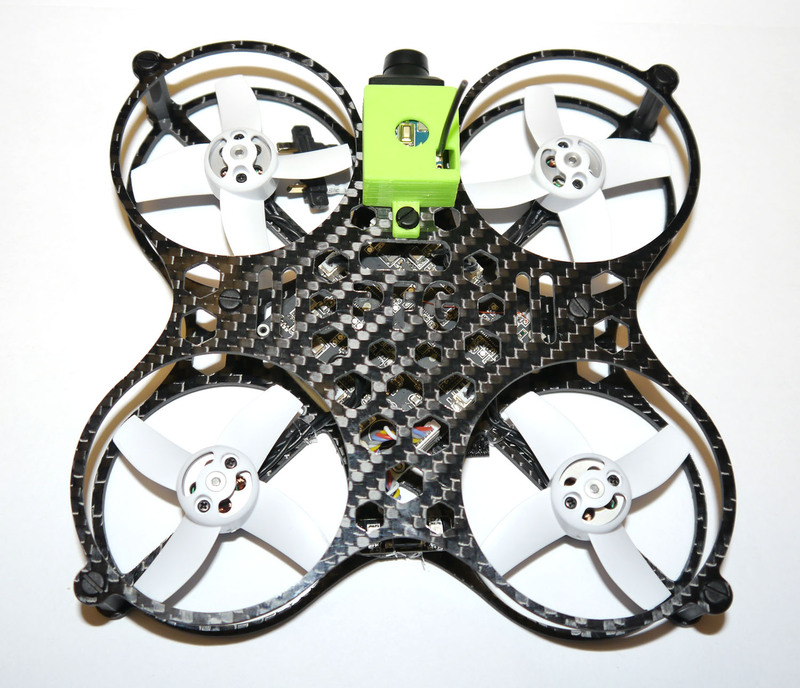 The ducted fan design makes the airframe inherently more durable than propeller driven quadcopters. 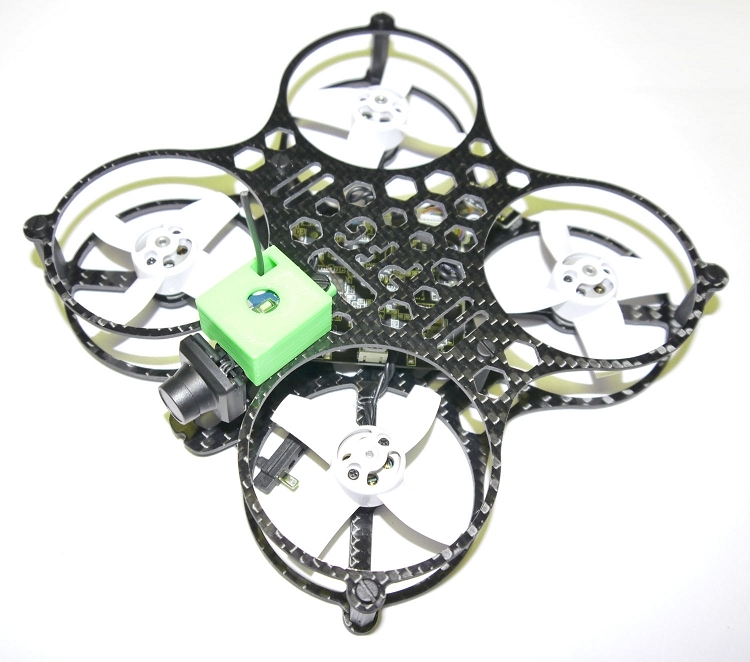 The special housings encased around each multi-blade rotor help protect the drone and other objects from damage should any bumps occur during flight. The 200-class outrunner motors allow the rotors to operate at high speed to provide efficient power that responds to your every command. The LED lighting system provides an excellent reference for other FPV aircraft left in your wake. In addition, LED color changes visually update you on flight status. The protective battery housing conforms to the streamlined airframe and snaps into place. It's a high-end feature similarly used on camera drones for safety and convenience. The included Li-Po balance charger helps keep the time between uses of the 800mAh 3S Li-Po pack short.